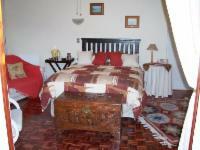 En-suite room with DStv and a private entrance. 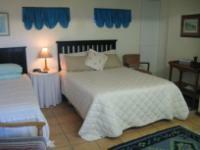 One room has a double bed, while the other room is equipped with twin beds. Family en-suite unit sleeping two adults and two children in one double bed and twin beds. Features include DStv and a separate entrance.